Appearing to want a fresh start, Sweden's Crazy Lixx returns with their fourth long player, simply self-titled. What has not changed is their hard rock style. 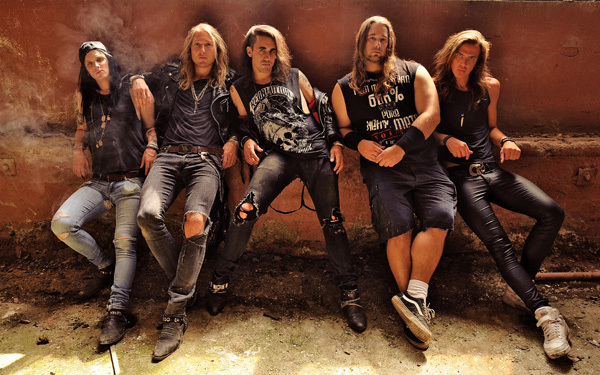 Reaching back into the depths of the Eighties, the band taps that historic vein of sleaze rock and hair metal. While I was largely ambivalent about the previous Riot Avenue, this album finds Crazy Lixx's returning to the raucous energy and bombastic sound of earlier recordings. Most every song here is loud, rumbling and razor sharp, especially in the latter half of the album. 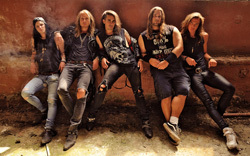 From All Looks, No Hooks to Wrecking Ball Crew, Crazy Lixx blends twin guitar riffage, large vocal arrangements, and a thick rhythm section to deliver some metal-edge hard rock. One of the best songs is Heroes Are Forever from their out-of-print album and a staple in their live set. On the front end, the vibe is similar, but with some songs have a more accessible groove, even some laid back parts. Hell Raising Women easily fits with raucous second half. Then, Soun of the Loud Minority and Outlaw have these brief moderating moments were the band backs off on the rowdiness. That doesn't make them bad, just different. Girls of the 80s and especially I Missed The Mark are likely the most catchy and accessible songs, perfect for radio or arena play, thanks mostly to the melody and hooks in the refrain. As always, and necessary for the genre, there's an abundance of sharp guitar solos that only add to the power and presentation of the songs. All in all, this self-titled album is a solid and entertaining return to form for Crazy Lixx. Recommended. 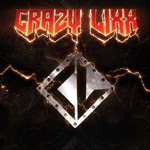 This self-titled album is a solid and entertaining return to form for Crazy Lixx, strong melodic hard rock. Recommended.